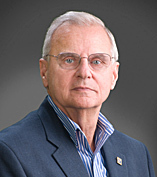 Bob Hummer brings a wealth of experience with him; a practitioner in real estate in Northern Virginia since 1978, a Life Member of both the Million Dollar Sales Club and the Top Producers Club with over 1900 Satisfied Families and President, Prince William Association of REALTORS in 1991. His experiences range from helping buyers and sellers attain their goals; to renovating historic homes on Capitol Hill; to counseling and assisting homeowners facing the loss of their home due to foreclosure. Since 1996, he has presented his free Home Buyer and Home Seller Seminars at the Woodbridge campus of Strayer University. When you select Bob Hummer as your representative, you receive the benefit of his superior knowledge and sound judgment. He is eager to share his experience with all of his buyer and seller clients. To paraphrase Will Rogers, "Bob Hummer knows what he is doing, he loves what he is doing, and he believes in what he is doing." Let me put my years of real estate experience and the Coldwell banker Residential Brokerage Worldwide Marketing Program to work for you!